Showcase your commitment to treating life safety as a right. Life safety is a right, not a privilege. 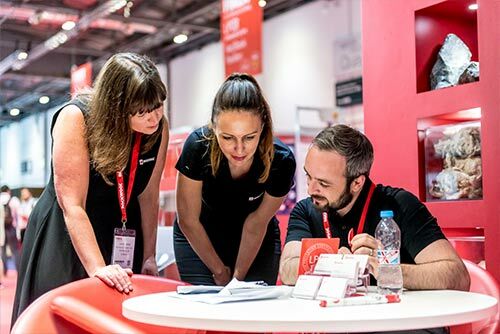 By being a part of FIREX 2019, you’ll be showcasing your commitment to change – to an audience who expects to see you there. I understand that I will receive marketing communications from FIREX International We share this content to help identify business leaders with an interest in our services. You can opt out later using the links provided. If you do not wish to receive anything, please do not submit. I'd like to hear from partners/third parties that work with FIREX International We will not share your data with third parties for marketing purposes without your consent. "There’s been a very good quality of visitors and contacts. We’ve already booked for next year." "It’s been really, really good. Yesterday was absolutely manic. We are really pleased with the quality and the quantity. We’ve already signed for next year"
"We’ve met with the right sort of people, along with new people we wouldn’t have expected to target. We’ve got some good leads and good international enquiries"